Purchase CDs here. New on-line service effective January 2006. Join our mailing list for info. All cds are $13.99 (approx 11.19 US). 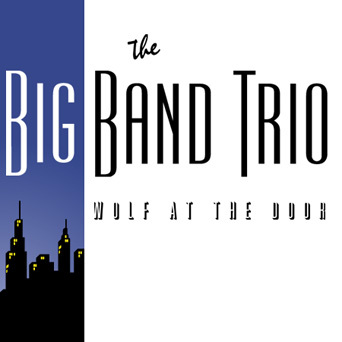 Robert, Clark and Paul have recorded some of their best vocal material to date in their original trio format. The follow up to Places to Go, People to See, this cd contains a great mix of standards and originals. It features outstanding arrangements and new originals by Robert Brodeur. Paul's whimsical ditty Une Vie du Chien provides a refreshing respite. Sorry - out of print. These tracks will be available for single download from ITunes, Napster, Puretracks and others by May 2006. 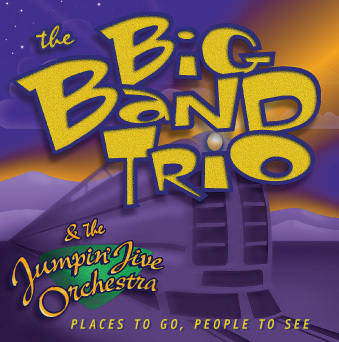 Recorded after a highly charged tour, this album captures for the first time the Big Band Trio realizing their vision of a larger format group. Clark's barrelhousing blues style propels the title cut to set the tone for a superb mix. The classic sound of the trio alone. 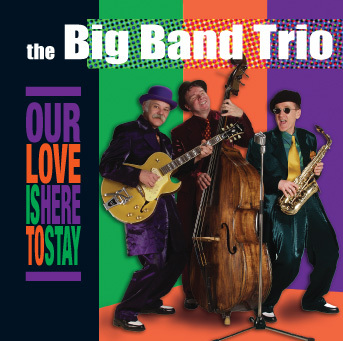 This cd is a collection of recordings from their earliest sessions. Recorded between 1982 and 1992, it shows the inspiration and the roots of their unique vocal style. Includes Endless Night, a beautiful ballad penned by Robert.